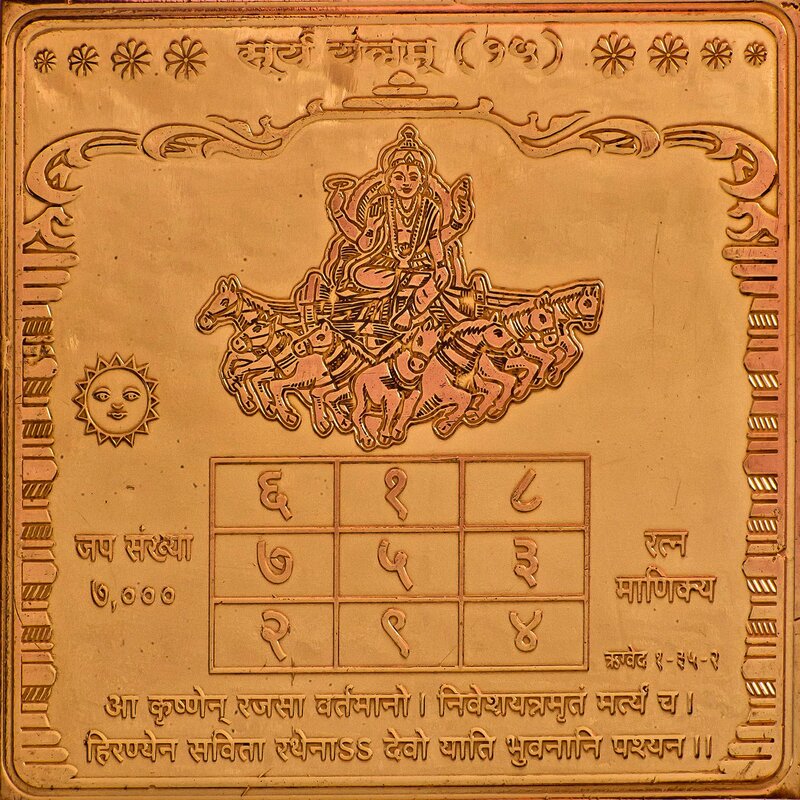 The Vedic deity Surya Himself is embossed on this yantra, seated on His glorious chariot drawn by seven horses. The astrological portent of this kind of yantra is immense. Housing and/or donning this yantra ensures one’s physical well-being and serves to fuel one’s authority over fellow human beings.